As Australia’s largest supplier of steel wedged products our range of trailer locking plates are custom made to suit your needs and are generally 290mm x 98mm machined from 5.0mm GR250 mild steel and will include a 24mm dia off-centre hole. 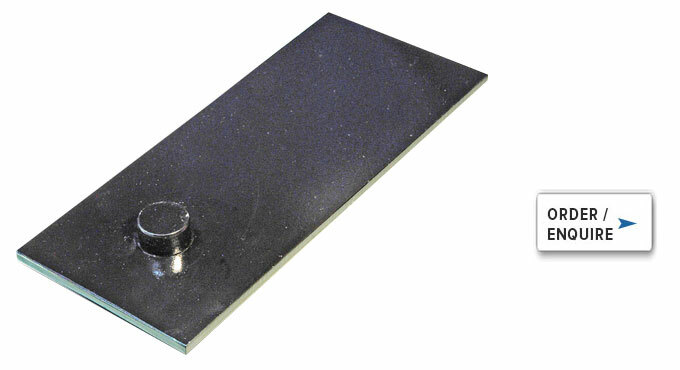 Alternatively we produce a 235mm x 98mm locking plate from 6.0 mm GR250 mild steel. This plate comes complete with a welded 25mm dia dowel which is also off-centre. Industrial Tools & Wedges Pty Ltd.
© 2019. Industrial Tools & Wedges Pty Ltd. All rights reserved. 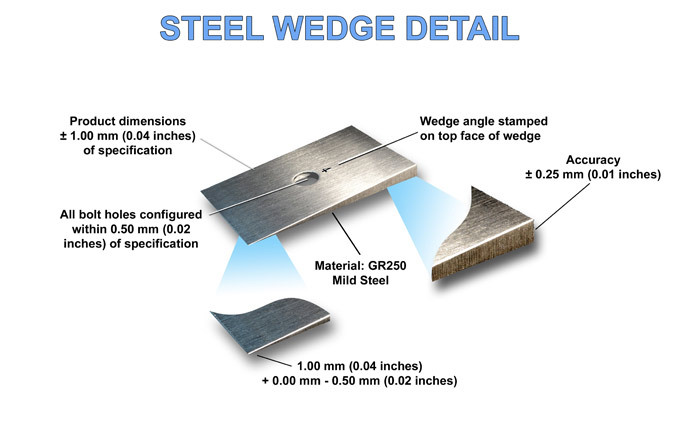 “We've been using steel caster wedges from Industrial Tools and Wedges in our workshop for over 7 years now and we couldn’t be happier with every wedge we fit, ensuring an accurate job every time.The service is excellent..."